The soccer news starts with what we already know. The 2026 FIFA World Cup will have 48 teams. That's approved and set as the Confederations work through what happens with qualifying. 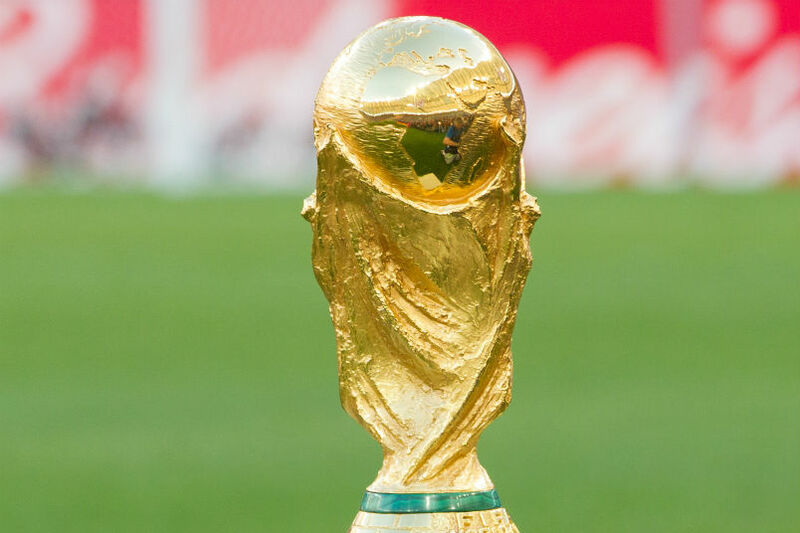 What isn't so sure is whether or not the 2022 World Cup goes ahead at 32 or 48 teams. FIFA president Gianni Infantino highlighted that uncertainty in comments to the Asian Football Confederation. "Will it happen in 2022? We are looking at it. If it is possible, why not?," he said. "We have to see if it is possible, if it is feasible. We are discussing with our Qatari friends, we are discussing with our many other friends in the region and we hope that this can happen." With the World Cup in Qatar already causing a shuffling of the international calendar and domestic leagues with its move to November and December, "why not" resonates with this version of FIFA. It also acts as a catchall for whatever they might want to to do. That includes the revamped Club World Cup and the global Nations League. What isn't so clear is how this makes the game better. Also in the soccer news, Ethan Horvath was in goal for Club Brugge's 4-0 win over Oostende in the Belgian Pro League. Siebe Schrijvers scored in the 16th minute with Hans Vanaken converting a penalty in the 21st. Wesley Moraes scored a minute into first-half stoppage time. Schrijvers scored again in the 70th minute. Eric Lichaj wasn't involved in Nottingham Forest's 3-2 loss at Burton Albion in the League Cup. Matt Miazga wasn't in the squad for Nantes' 3-0 loss at Montpellier in the Coupe de la Ligue round of 32. In the second round of the DFB Pokal, Terrence Boyd subbed on in the 83rd minute for Darmstadt's 2-0 home loss to Hertha BSC. Alfredo Morales subbed out in the 64th minute for Fortuna Dusseldorf in their 5-1 loss at Ulm. Fortuna fell behind in the opening minute with Marvin Ducksch equalizing in the 15th. Rouwen Hennings put Fortuna up in the 33rd with Dodi Lukebakio scoring in the 37th and the 43rd. Ducksch scored again in the 70th minute. Bobby Wood played the second-half for Hannover's 2-0 home loss to John Brooks's Wolfsburg. Brooks subbed on in stoppage time. Admir Mehmedi opened the scoring in the 20th with Wout Weghorst doubling the lead three minutes into stoppage time. Andrew Wooten subbed out in the 74th minute for Sandhausen's 3-0 loss at Heidenheim. The NY Times' Filip Bondy previews the MLS playoffs. The Province's JJ Adams relays the complaints from the Whitecaps. The Washington Post's Steven Goff explains what Wayne Rooney is doing for DC United off the field. BBC Sport also profiles Rooney in DC. The Canadian Press's Neil Davidson with what Toronto FC wants for 2019. The San Diego Union-Tribune's Mark Zeigler reports on the coaching situation at Club Tijuana.